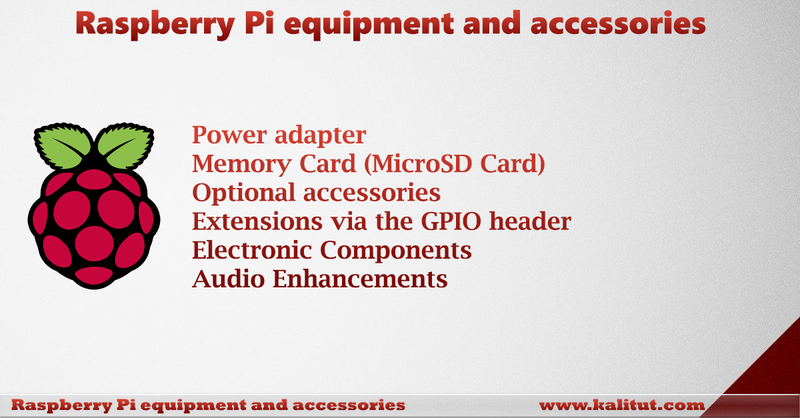 Accessories and equipment are available for Raspberry Pi, no matter which model, such as sand more. As confusing as that is, that's how good it is. The prices are comparatively low and the availability very good. It looks a lot worse on other mini computers. The only question is, what do you need, what is optional and still useful? The minimum equipment includes a power adapter and a memory card. Even if you might have a power adapter, such as a cell phone charger, you should still get a power adapter that is suitable for Raspberry Pi. Cell phone chargers and overly cheap China bulbs are rarely suitable as a stable power supply of a Raspberry Pi. Also, you should get at least a second memory card, if you miss a configuration while experimenting. Then you can either make a backup on the second memory card or has a second card for further experimenting in the drawer. In the further equipment one is relatively free. A housing is not a mistake if you want to avoid damage and short circuits on the board. Unless you already have it in the house, an HDMI and Ethernet cable will not hurt. If you have Wi-Fi, then a wireless adapter for the USB port. There are whole accessory kits for Raspberry Pi. Whether that makes sense, the spirits are different. In principle, the purchase is a good idea. Then you have everything together. Unfortunately, one has no influence on the quality and composition. It may not be much use afterward. No matter how you do it, you will always have to buy something afterward. Since 2012 there is Raspberry Pi and every year new models have appeared, which has become a bit confusing. This raises the question, which model should it be? There is really only one really meaningful answer: One should always choose the B-model, which is currently the most current. In principle, the models also go A and A +. However, they are more suitable for projects that should use as little power as possible. The computing module is also intended for special applications. Choosing the power supply will determine if experimenting and working with Raspberry Pi will be a nuisance or if you can have many successful experiences. Because not every power supply is equally suitable for Raspberry Pi. This is not due to Raspberry Pi, but to the power supplies that are either poor in quality or unsuitable for powering Raspberry Pi. The operating system for Raspberry Pi is started from an SD memory card (SD or MicroSD card) and must first be written to this memory card. The choice of memory cards is enormous. Generally, it is only recommended to buy MicroSD cards. Even if you work with models A and B. The microSD cards can then be plugged into these two models via an adapter. It is generally advisable to use memory cards with 8 GB. There is also enough space if you want to install software. If you want to do without the screen and keyboard on Raspberry Pi, then you need a connection to the local network. Either via Ethernet via RJ45 cable or via WLAN, whereby you need a separate WLAN adapter for the USB. It is recommended that Raspberry Pi in any way has access to the Internet. Then you can easily install software. The analog audio output of Raspberry Pi is extremely bad. Noise, humming and a miserable sound are simply no fun. If it goes beyond experimentation, then audio extensions for GPIO or USB are recommended. Heatsinks for Raspberry Pi are a popular accessory and are often recommended. Usually three pieces. One for the system-on-chip, one for the interface module and one for the voltage converter. Finally, equivalent building blocks in a full-size computer also have heat sinks. Now, there is no reason to miss Raspberry Pi heat sink. For one thing, it is not as powerful in its ground state that the chips can get so hot that they are damaged. In addition, the chips are designed so that no problems occur in the narrowest housing under full load. Typically, for the first steps with Raspberry Pi you take the Linux distribution Raspbian. This is not always the preferred distribution. Special tasks always have certain requirements that a Raspbian cannot fulfill. Of course, you can expand any distribution and install all conceivable software packages. But sometimes it is better to choose a different distribution, which brings a special software equipment for the requirements.